Motorola has taken the wraps off the new Moto Maxx handset, which is the international version of the Verizon Droid Turbo, and is identical to it in terms of specifications. Moto Maxx comes with a 5-inch QHD display sporting a resolution of 2560 by 1440 pixels with 565 ppi pixel density, and runs Android 4.4.4 KitKat as its operating system out of the box. The handset features 3GB of RAM, 64GB of internal storage, 2MP front-facing camera and a 21MP camera with 4K video recording capabilities. The battery on the Moto Maxx is also unchanged, it boasts a massive 3,900 mAh battery with Turbo charging feature which can give you eight ours of talk time on a 15 minutes charge. The processing power comes from a quad-core Snapdragon 805 chipset with Adreno 420 GPU. On the outside, the handset is made from premium ballistic nylon, and DuPont Kevlar fiber under it to make sure its durable. Unfortunately, it will not be globally available at the moment. 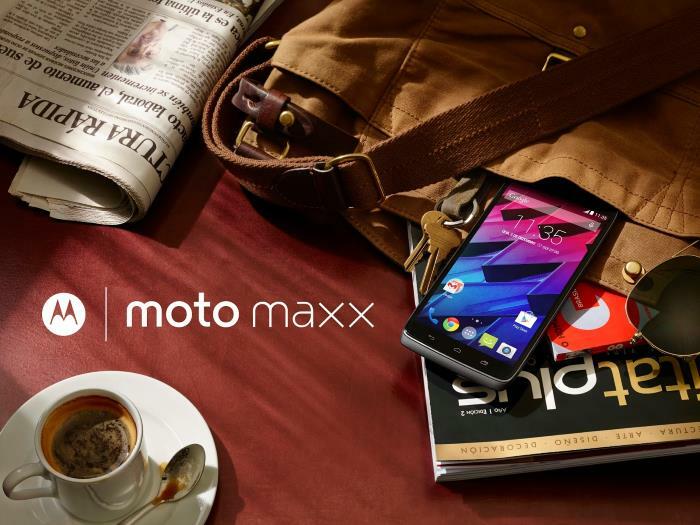 Motorola announced the Moto Maxx will go on sale in Brazil starting today, followed by Mexico in mid-November. Other Latin American markets will get the handset in the coming months.